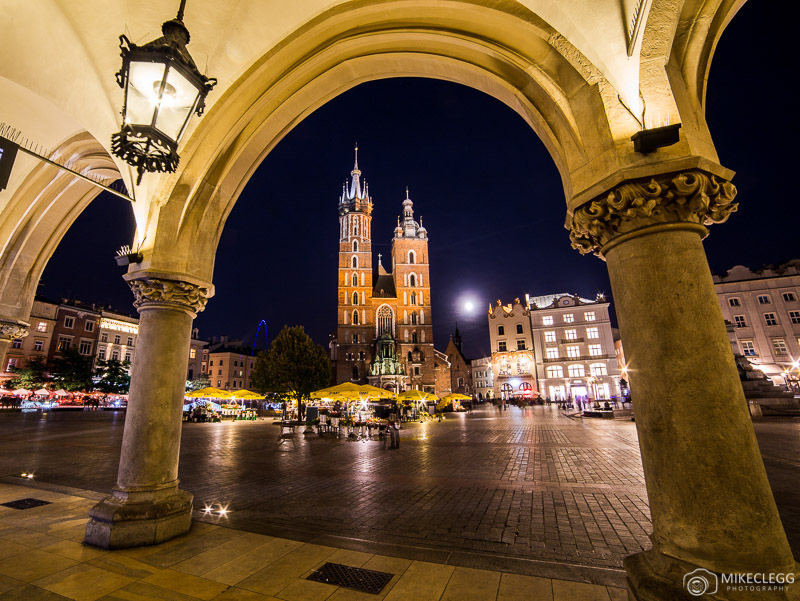 Krakow is one of Poland’s beautiful cities. 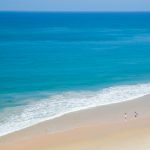 If you are visiting and want to return home with some awesome pictures, then keep reading, as in this post I will tell you 10 top spots for Instagram and photography. As well as this I will tell you the best time to take pictures, whether or not the location is free, and a link to the location on Google Maps. 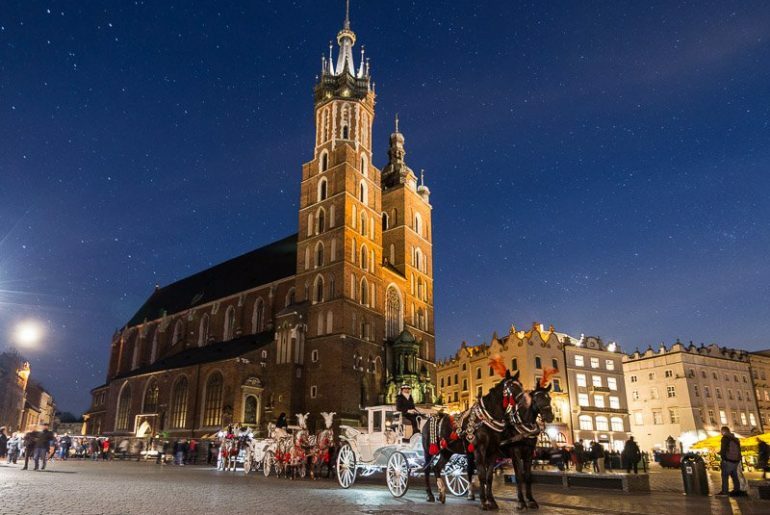 Here are 10 top and must visit Instagram and photography spots in Krakow. Szeroka is in the Jewish quarter of the city. The architecture around here is quite pretty, with one of my favourite bits being these three colourful buildings. Also around here is a small street leading from Miodowa street which has some shop fronts from the 16th century. 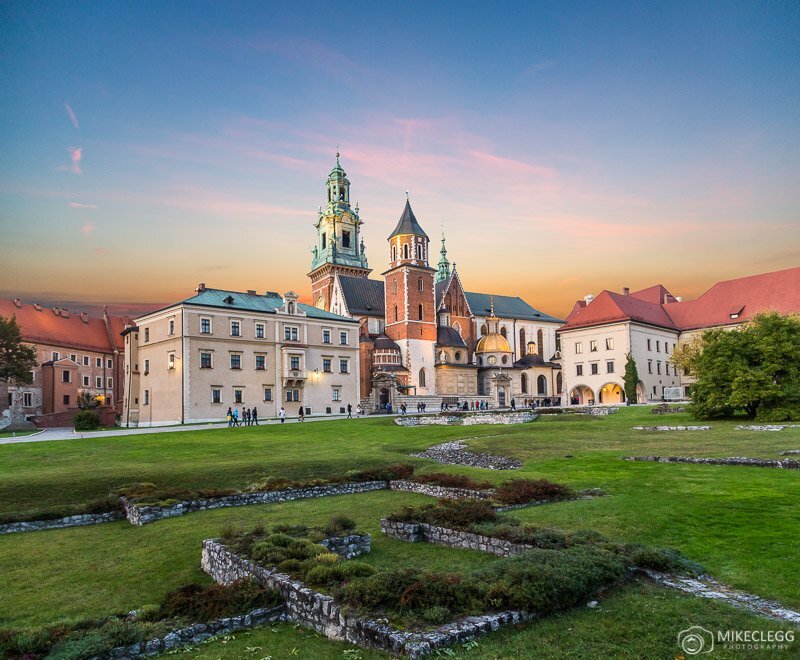 Wawel Royal Castle is one of Krakow’s most famous landmarks and is very photogenic. The castle was a residence of various Polish leaders since the 11th century and was originally a small building, but has since grown into a larger complex. The main grounds are free to visit and a good time to visit is around sunset/blue hour. 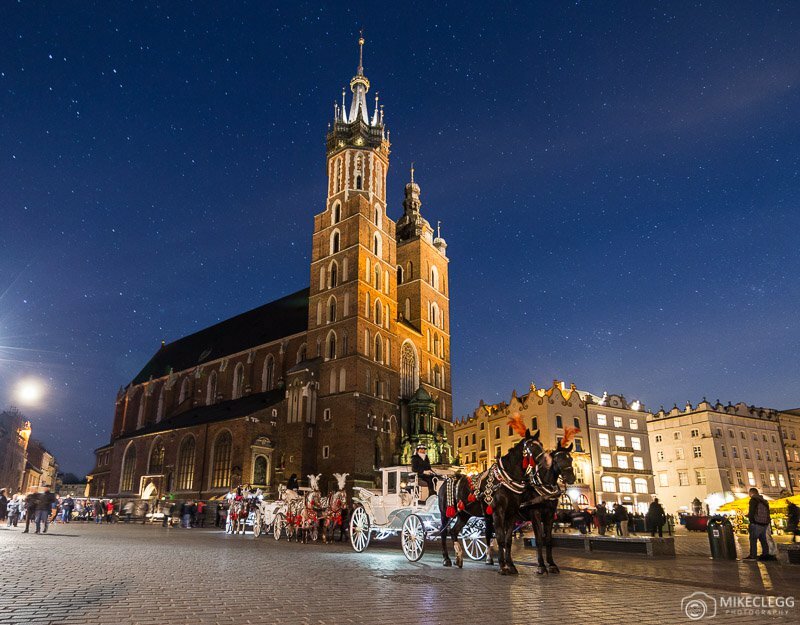 St. Mary’s Basilica is a church from the 14th century and is another of Krakow’s most beautiful landmarks. You will find lots of great angles to take photographs and for a nice perspective consider framing your image using the arches from the Cloth Hall (seen below). The inside of St. Mary’s Basilica is also stunning, with amazing patterns and colours. When taking pictures use a wide angle lens (such as 14-24mm) so as to capture as much as possible. 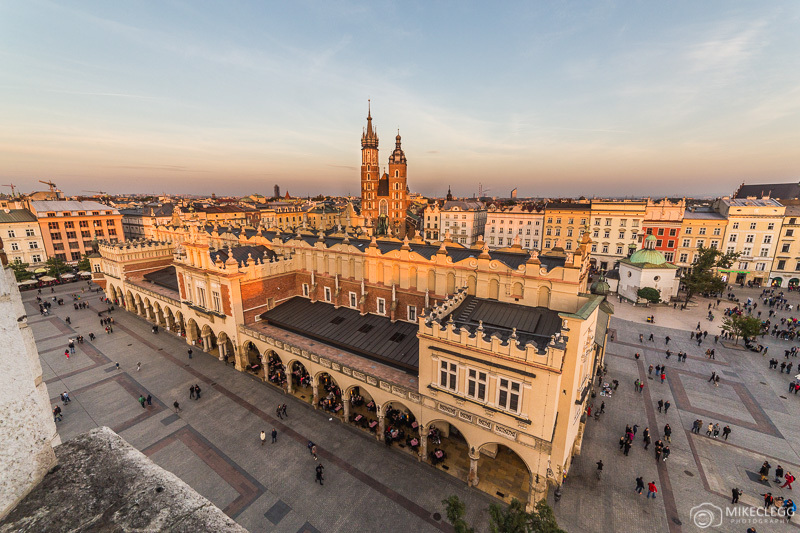 One of the best viewpoints in Krakow is from the Town Hall Tower, which on Rynek Główny and just off one side of the Cloth Hall. You have to climb some steps to get to the top, but the view is worth it as you can see below. 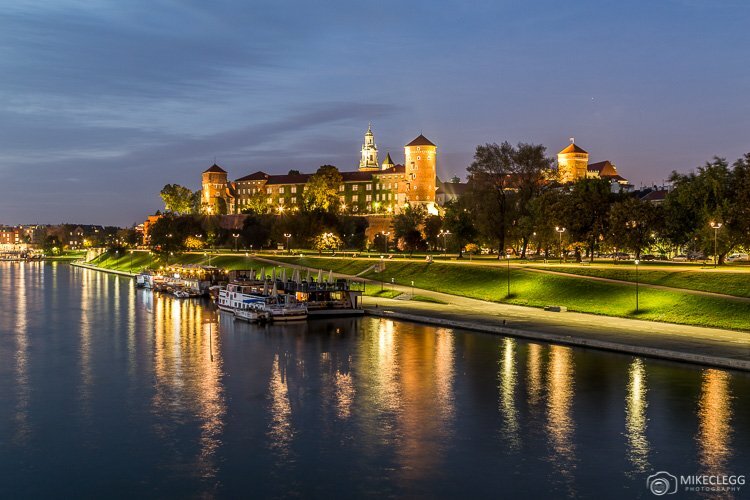 It’s quite pretty along the Vistula River and from some angles such as the Grunwaldzki bridge you can get views towards Wawel Castle. During my visit I also went here for sunset although there wasn’t much colour, however it may be worth checking out during your visit. 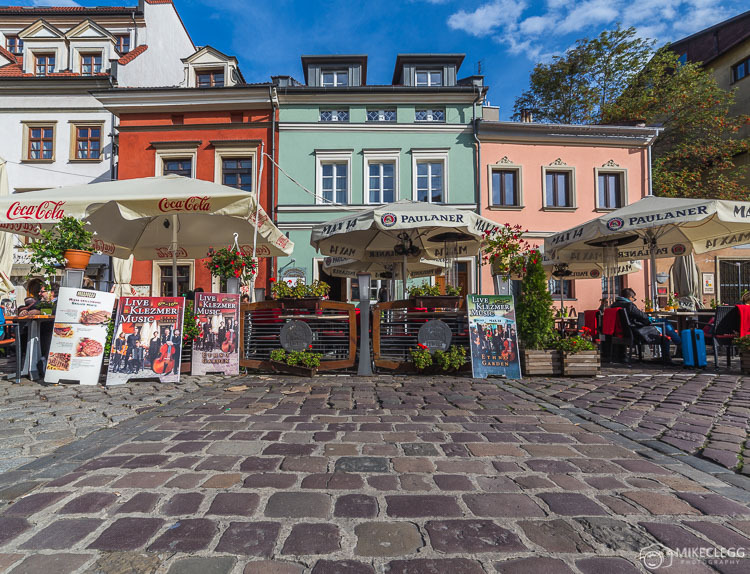 Floriańska is a street near the main square and either side is colourful and beautiful architecture. As well as this the street has nice paving and you can easily frame your shot so you get the towers of St. Mary’s Basilica in the distance. The Cloth Hall in Krakow is one of the cities highlights and is great to photograph. Close to St. Mary’s Basilica you’ll find a little water feature which is quite reflective and makes for great pictures. You can also get reflections during the day too, although they aren’t quite as prominent. Kładka Ojca Bernatka is a pedestrian footbridge and although not the easiest to photography (for my style), I’m sure many of you could find a creative angle. 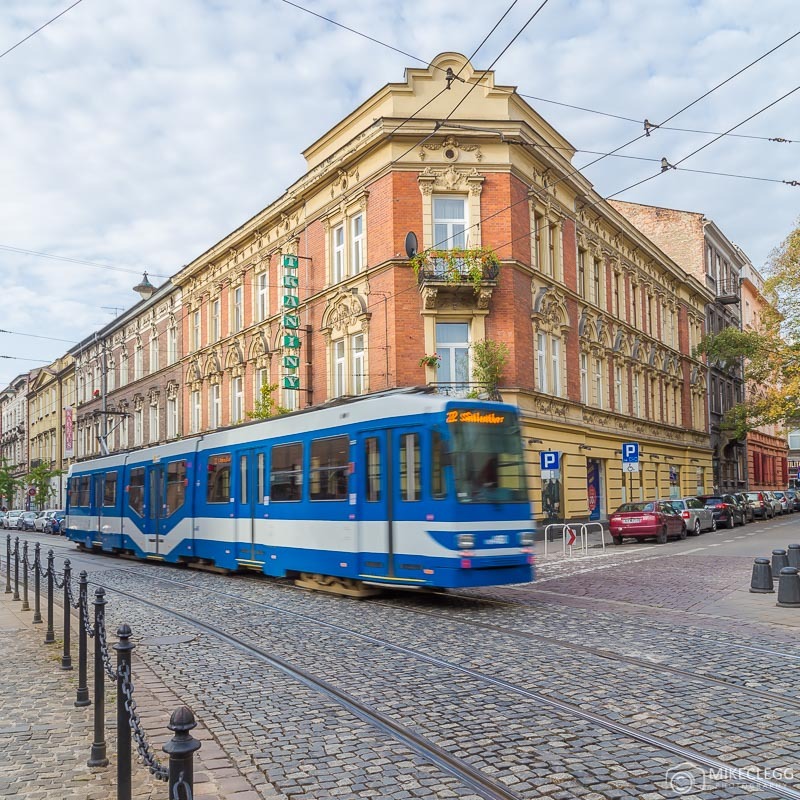 If you wanted to capture some city trams during your stay then head along Zwierzyniecka. There is also some nice architecture along this street to include in your pictures with the trams. I didn’t make it here at night, but I would expect this location would be pretty good at night for light trails from trams and other traffic, mixed with the architecture. 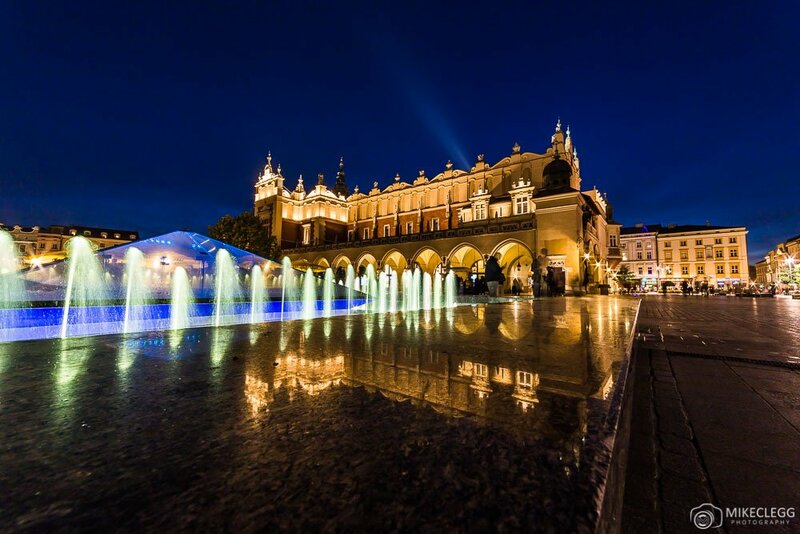 If you are visiting Krakow then a good place to start is around the main square (Rynek Główny) as you’ll find heaps of great photo spots around there. 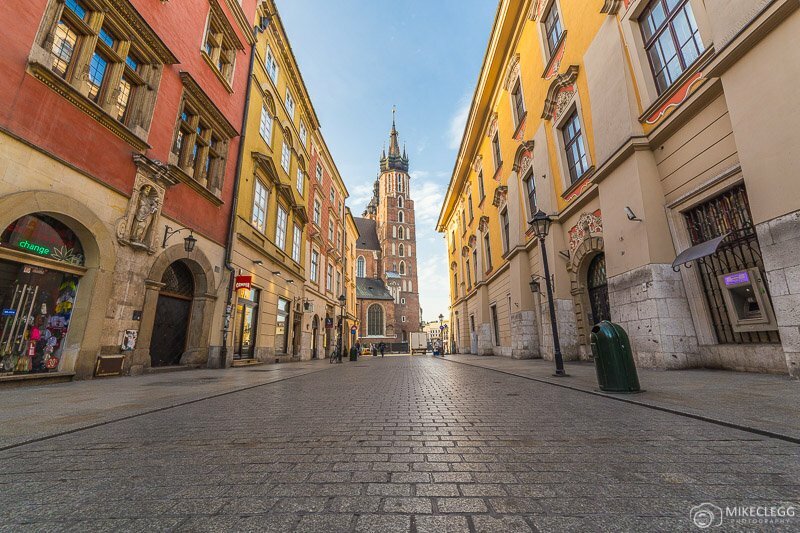 Have you visited Krakow before and do you know of any other top Instagram and photography locations? If so please feel free to share and leave a comment below. Need a hotel in Krakow? 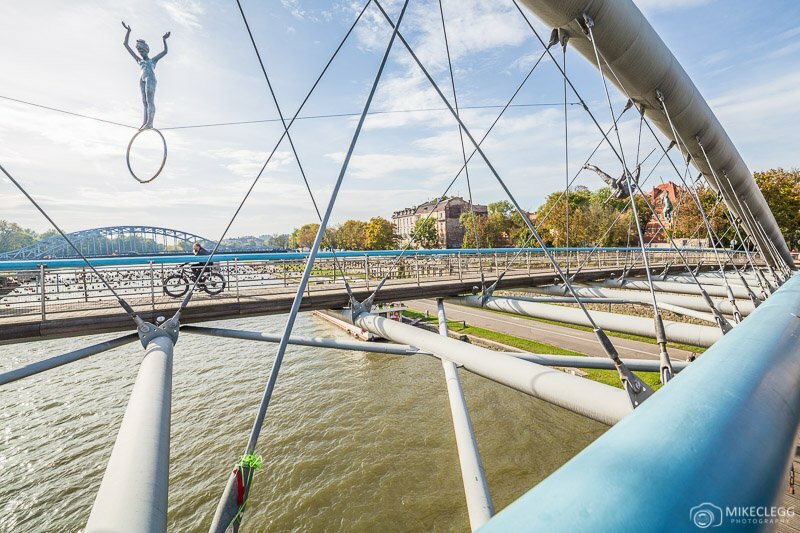 Hey Buddy!, I found this information for you: "10 Top Instagram and Photography Spots in Krakow". 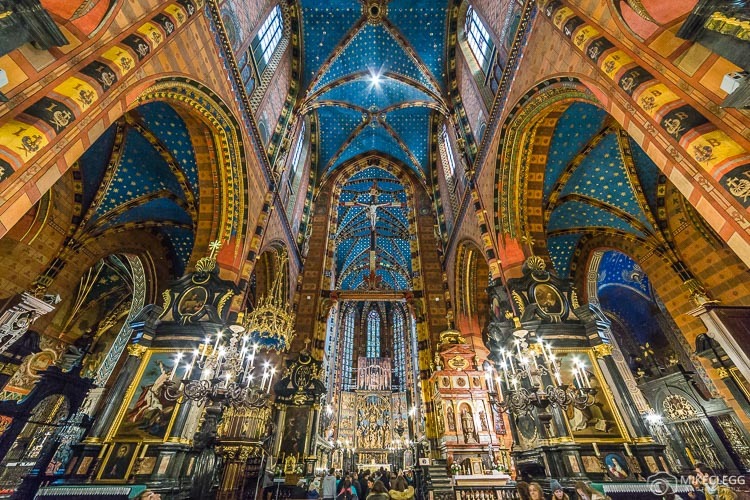 Here is the website link: https://www.travelanddestinations.com/10-top-instagram-and-photography-spots-in-krakow/. Thank you.